What a fun project! 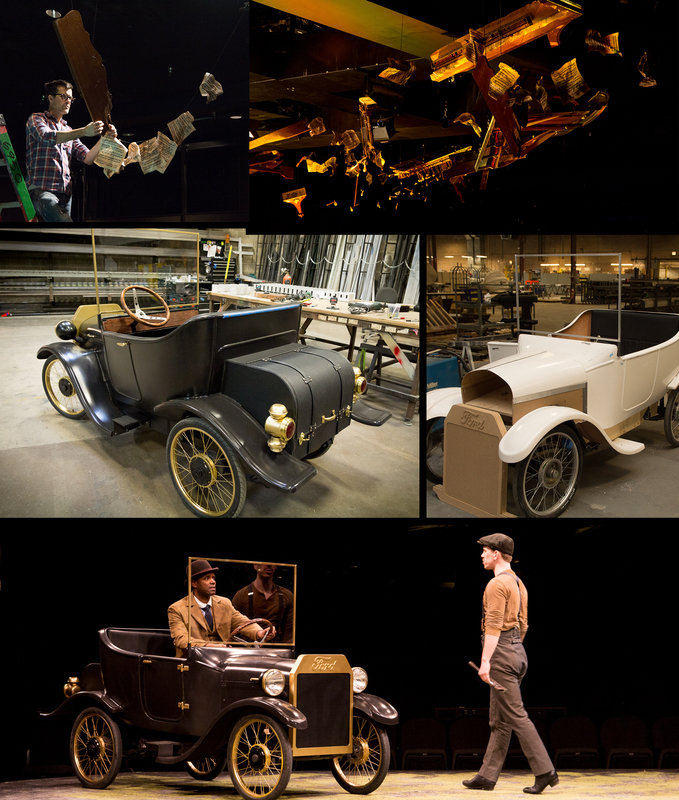 For Marriott Theatre Lincolnshire’s production of the musical Ragtime, we took a common golf cart and transformed it into a well-proportioned Model T scaled to fit the size restrictions of the Marriott Theatre stage. 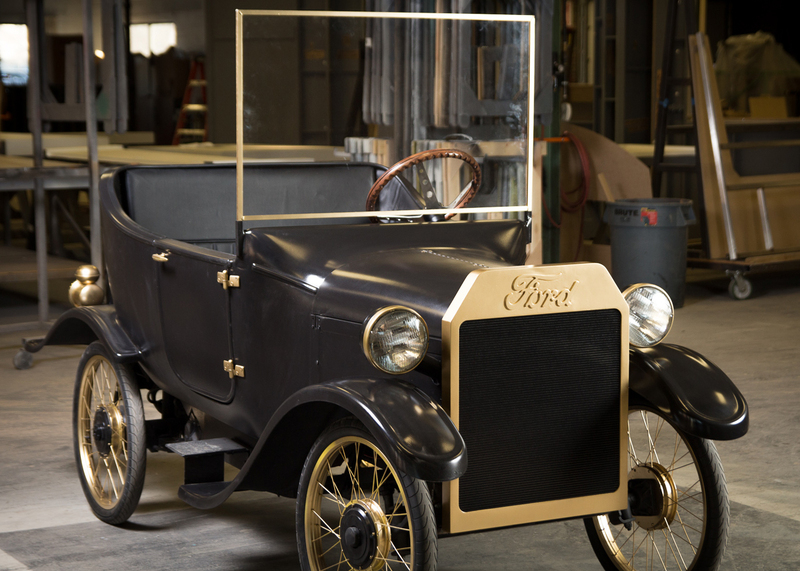 Fiberglass parts from a Model T hot rod kit were modified to fit on the chopped golf cart frame. We made custom hubs for the spoked e-bike wheels and put wireless speakers in the faux leather trunk for engine noises and backfire sound effects. We even made some of the parts detachable for the scene in which the Model T gets trashed by the actors. Everyone in our studio and shop wanted to drive this cool little car, which is now the star of the show. We also got to dismantle three grand pianos to create the hanging “explosion” of pianos and sheet music over the stage.